Headaches are a common complaint in those undergoing intracranial CT scans and neuroimaging with MRI in the ED. According to a prospective cohort study published in the Journal of Pediatrics, the rate of neuroimaging for pediatric headache in the emergency department (ED) was notably higher than the rate of positive findings, suggesting a need to decrease the use of this diagnostic modality. The researchers conducted a prospective study at 2 urban hospitals in the midwestern United States that are part of a freestanding pediatric hospital system. Pediatric patients age 6 to 18 years who were seen in the ED for headache between September 2015 and September 2016 were enrolled. Data collection varied based on whether patients received neuroimaging in the ED. Chart review was used to determine the outcome of neuroimaging, and researchers followed up with patients by telephone if neuroimaging was done at a follow-up visit. Multivariable logistic regression was used to determine associations between patient characteristics and the use of neuroimaging in the ED. A total of 294 patients were enrolled in the study. Computed tomography (CT) or magnetic resonance imaging (MRI) was done in 53 patients. Findings were clinically significant in only 2 patients. Per multivariable logistic regression analysis, the characteristics associated with neuroimaging by ED practitioners included abnormal neurologic examination findings (odds ratio [OR] 11.55; 95% CI, 3.24-41.22), no history of similar headaches (OR 2.13; 95% CI, 1.08-4.18), and white race (OR 3.04; 95% CI, 1.51-6.12). This study was limited by its potential for enrollment bias. For example, research assistants were not available during all hours for patient recruitment, and patients often were not enrolled when the ED was busy. “Our observed emergency department imaging rate was 26.5 times higher than our positive result rate, suggesting there is room to decrease unnecessary neuroimaging. Associations for abnormal examination and new headache type are consistent with the American Academy of Neurology clinical imaging recommendations. The increased odds of imaging [being performed in] white patients suggests bias that should be addressed. 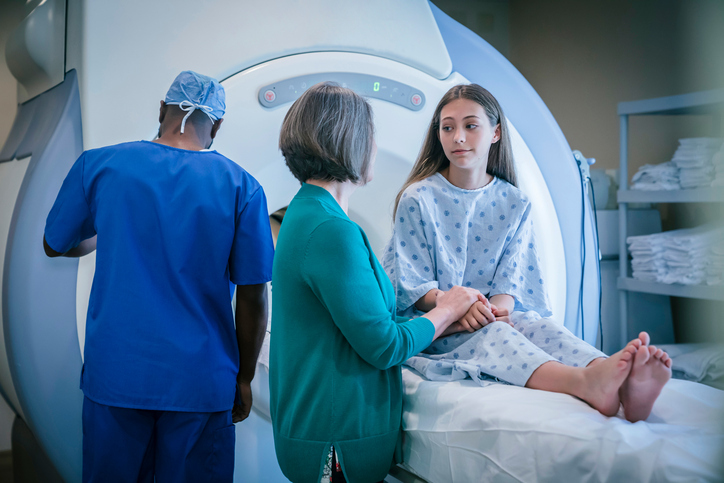 The low rate of positive findings supports the need for an evidence-based clinical decision tool for neuroimaging in the acute care setting,” the authors wrote.